The acute, or hepatic, porphyrias primarily affect the nervous system, resulting in abdominal pain, vomiting, acute neuropathy, muscle weakness, seizures, and mental disturbances, including hallucinations, depression, anxiety, and paranoia. Cardiac arrhythmias and tachycardia (fast heart rate) may develop as the autonomic nervous system is affected. Pain can be severe and can, in some cases, be both acute and chronic in nature. Constipation is frequently present, as the nervous system of the gut is affected, but diarrhea can also occur. Given the many presentations and the relatively uncommon occurrence of porphyria, the patient may initially be suspected to have other, unrelated conditions. For instance, the polyneuropathy of acute porphyria may be mistaken for Guillain-Barré syndrome, and porphyria testing is commonly recommended in those scenarios. Systemic lupus erythematosus features photosensitivity and pain attacks and shares various other symptoms with porphyria. Patients with acute porphyria (AIP, HCP, VP) are at increased risk over their life for hepatocellular carci-noma (primary liver cancer) and may require monitoring. Other typical risk factors for liver cancer need not be present. Porphyrias have been detected in all races, multiple ethnic groups on every continent includ-ing Africans, Asians, Australian aborigines, Caucasians, Peruvian, Mexican, Native Americans, and Sami. There are high incidence reports of AIP in areas of India and Scandinavia and over 200 genetic variants of AIP, some of which are specific to families, although some strains have proven to be repeated mutations. The links between porphyrias and mental illness have been noted for decades. In the early 1950s patients with porphyrias (occasionally referred to as "Porphyric Hemophilia") and severe symptoms of depression or catatonia were treated with electroshock. If drugs or hormones have caused the attack, discontinuing the offending substances is essential. Infec-tion is one of the top causes of attacks and requires vigorous treatment. Some liver diseases may cause porphyria even in the absence of genetic predisposition. These in-clude hemochromatosis and hepatitis C. Treatment of iron overload may be required. Hormonal fluctuations that contribute to cyclical attacks in women can be treated with oral contraceptives and luteinizing hormones to ( shut down menstrual cycles). However, oral contraceptives have also triggered photosensitivity while withdrawal of oral contraceptives has triggered Androgen attacks and fertility hormones have triggered attacks. Often, empirical treatment is required if the diagnostic suspicion of a porphyria is high since acute attacks can be fatal. A high-carbohydrate diet is typically recommended; in severe attacks, a glucose (10% infusion) is started. Porphyria is a group of disorders caused by abnormalities in the chemical steps that lead to heme production. Heme is a vital molecule for all of the body's organs, although it is most abundant in the blood, bone marrow, and liver. Heme is a component of several iron-containing proteins called hemoproteins, including hemoglobin (the protein that carries oxygen in the blood). Other types of porphyria, called acute porphyrias, primarily affect the nervous system. These disorders are described as "acute" because their signs and symptoms appear quickly and usually last a short time.. These signs and symptoms can be life-threatening, especially if the muscles that control breathing become paralyzed. Acute porphyrias include acute intermittent porphyria and ALAD deficiency porphyria. Two other forms of porphyria, hereditary coproporphyria and variegate porphyria, can have both acute and cutaneous symptoms. Normally, the body makes heme in a multi-step process. Porphyrins are made during several steps of this process. Patients with porphyria have a deficiency of certain enzymes needed for this process. This causes abnormal amounts of porphyrins or related chemicals to build up in the body.There are many different forms of porphyria. The most common type is porphyria cutanea tarda (PCT). Physicians often prescribe opioids for chronic pain, anti-depressants for depression, oral contraceptives to stop hormonal ups and downs, all as treatment of the symptoms of Porphyria. The list of side effects from even one of these medications is overwhelming. Partial list of side efects: liver failure, clumsiness, slurred speech, muscle twitching, enlargement of facial features, sweating, confusion, skin rash, aching joints, nausea, vomiting, fever, double vision, trembling, hair loss, hair growth, irritability, seizures, stomach discomfort, breast enlargement in men, sleep problems, etc, etc. There is scientific evidence to suggest that cannabis may be beneficial in treating a number of symptoms, (including seizures), of Porphyria with little or no side effects. One of the first therapeutic uses suggested for cannabis was as an anticonvulsant. Cannabis contains over 300 compounds. At least 66 of these are cannabinoids, which are the basis for medical and scientific use of cannabis. This presents the research problem of isolating the effect of specific compounds and taking account of the interaction of these compounds . Cannabinoids can serve as appetite stimulants, antiemetics, antispasmodics, and have some analgesic effects. Five important cannabinoids found in the cannabis plant are tetrahydrocannabinol, cannabidiol, cannabinol, β-caryophyllene, and cannabigerol..Four other lesser known cannabinoids are: cannabitriol (CBT), delta-8-THC, cannabicyclol (CBL), and cannabavarin (THCU). It is the combination of these cannabinoids that have synergistic and antagonistic effects in the human body. Several studies have shown the anticonvulsant effect of cannabinoids. Part of the mechanism by which medical cannabis has been shown to reduce tissue inflammation is via the compound β-caryophyllene. A cannabinoid receptor called CB2 plays a vital part in reducing inflammation in humans and other animals. β-Caryophyllene has been shown to be a selective activator of the CB2 receptor. β-Caryophyllene is especially concentrated in cannabis essential oil, which contains about 12–35% β-caryophyllene. Cannabinol (CBN) (can-nab-i-nol) is a therapeutic cannabinoid found in Cannabis sativa and Cannabis indica. It is also produced as a metabolite, or a breakdown product, of tetrahydrocannabinol (THC). CBN acts as a weak agonist of the CB1 and CB2 receptors, with lower affinity in comparison toTHC.. It is referred to as the “nervous system” drug. It has analgesic and anti-inflammatory effects. It releases vasodilators and allows increased vascular permeability. It plays an important part in pain signaling and repair of tissue. It also relaxes hepatic arteries. 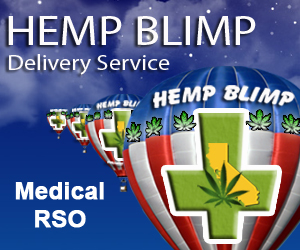 Cannabidiol (CBD), is a major constituent of medical cannabis. CBD represents up to 40% of extracts of the medical cannabis plant. Cannabidiol has been shown to relieve convulsion, inflammation, anxiety, cough and congestion, nausea, and inhibits cancer cell growth. Recent studies have shown cannabidiol to be as effective as atypical antipsychotics in treating schizophrenia. Because cannabidiol relieves the aforementioned symptoms, cannabis strains with a high amount of CBD may benefit people with Porphyria. 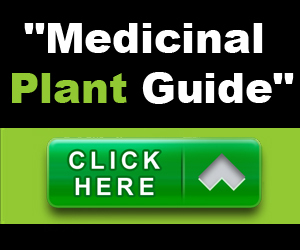 Best Strains: Medical Marijuana with the highest amounts of (CBD)-Cannabidiol in them! Sativas have higher amounts of CBD ‘s than Indicas. Hashish has highest amounts of CBD. Lavender: Lavendula x intermedia ‘Provence’ contains anti-convulsive properties. 1. Anderson K. The porphyrias. In: Goldman L, Ausiello D, eds. Cecil Medicine. 23rd ed. Philadelphia, Pa: Saunders Elsevier; 2007:chap 229. 2. Wiley JS, Moore MR. Heme biosynthesis and its disorders: porphyrias and sideroblastic anemias. In: Hoffman R, Benz EJ Jr., Shattil SJ, et al, eds. Hoffman Hematology: Basic Principles and Practice. 5th ed. Philadelphia, Pa: Churchill Livingstone Elsevier; 2008:chap 38. 3. Puy H, et al. Porphyrias. The Lancet. 2010;375:924. 4. Learning about porphyria. National Human Genome Research Institute. http://www.genome.gov/pfv.cfm?pageID=19016728. Accessed March 22, 2011. 5. Porphyria. National Digestive Diseases Information Clearinghome (NDDIC). http://digestive.niddk.nih.gov/ddiseases/pubs/porphyria/Porphyria.pdf. Accessed March 22, 2011. 6. Anderson KF. Porphyrias: An overview. http://www.uptodate.com/home/index.html. Accessed March 22, 2011. 7. Porphyrias. The Merck Manuals: The Merck Manual for Healthcare Professionals. http://www.merckmanuals.com/professional/print/sec12/ch155/ch155a.html. Accessed March 22, 2011. 8. Desnick RJ, et al. The porphyrias. In: Fauci AS, et al. Harrison's Online. 17th ed. New York, N.Y.: The McGraw-Hill Companies; 2008. http://www.accessmedicine.com/content.aspx?aID=2883658. Accessed March 22, 2011. 9. Singal AK, et al. Porphyria cutanea tarda and hepatoerythropoietic porphyria. http://www.uptodate.com/home/index.html. Accessed March 22, 2011. 10. Wolanskyj AP (expert opinion). Mayo Clinic, Rochester, Minn. April 5, 2011. 14. "Twenty-one percent of subjects had used marijuana in the past year with the majority of active users reporting beneficial effects on seizures. Twenty-four percent of all subjects believed marijuana was an effective therapy for epilepsy. 16. "Epilepsy is a chronic seizure disorder that affects about 2 million Americans and 30 million people worldwide. It is characterized by recurrent sudden attacks of altered con-sciousness, convulsions, or other motor activity. A seizure is the synchronized excitation of large groups of brain cells. 17. There are anecdotal and individual case reports that marijuana controls seizures in epi-leptics (reviewed in a 1997 British Medical Association report), but there is no solid evi-dence. While there are no studies indicating that either marijuana or THC worsen sei-zures, there is no scientific basis to justify such studies."